Your child is going through a difficult time. You don’t quite know what’s at the root of her woes, but you do know that you want to do something to help. Fortunately, there are a number of practical things you can do, starting right now, to help make things better for your child. Here are four ideas. 1. Ask yourself, "What does my child need from me right now?" Parenting can be exhausting—and meeting the needs of a child who is angry or upset can require an extraordinary amount of patience. You will find it easier to be patient with your child—to zero in on the best ways of handling a particular situation as opposed to getting stuck in your own feelings of helplessness or frustration—if you pause to ask yourself one key question: "What does my child need from me right now?" That simple question really cuts to the chase of things by helping you to shift your focus from how you are feeling to what you can do to help. Validating your child’s feelings means letting your child know that what she is thinking and feeling makes sense, even if you don’t share that exact same perspective yourself. You might tell your child, for example, that it makes sense that she is afraid of thunderstorms. Everyone is afraid of sudden, loud noises. Validating your child’s emotions will encourage her to accept her feelings rather than trying to avoid them (which only serves to make those unwanted feelings more intrusive). And it is an effective strategy for calming an upset child. Knowing that she has been heard and that her feelings have been accepted will make it easier for her to shift from emotion to problem-solving mode. 3. Be a calming presence. 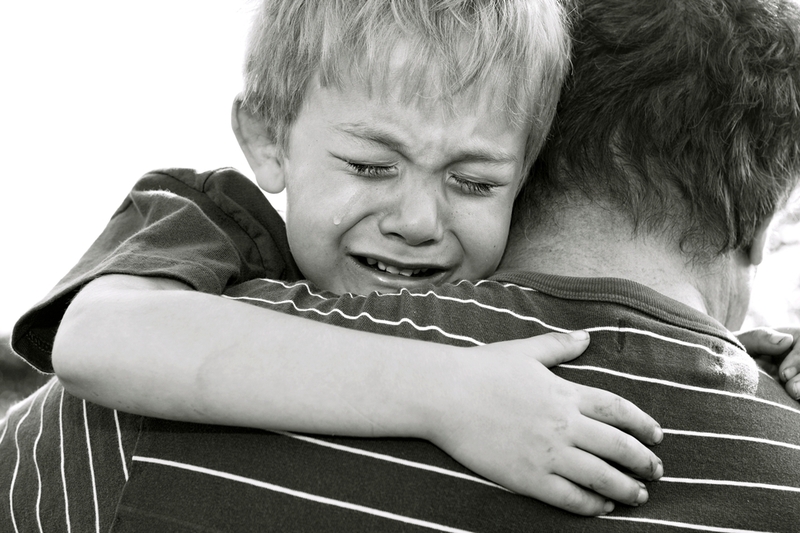 Of course, one of the most powerful things you can do to calm an upset child is to be a calming presence yourself. Think back to when you were a child—how good it felt to be hugged or held by someone who made you feel safe and secure. You can be this kind of stabilizing force for your child while she works at managing her own emotions. Treat yourself with the same kindness that you would extend to a friend who is struggling. Not only will you be modeling this all-important skill for your child (the art of cutting yourself some slack when you’re having a really bad day): you will also find it is easier to extend these same feelings of kindness and compassion towards your child—the ultimate parenting win! This article originally appeared at Toronto4Kids.com.